Imagine a world where Bing can empower intelligent bots like Cortana to answer and serve a user's needs within messaging apps. Initially, the concept project was to create excitement and inspiration for Bing leadership to sell this vision to high level executives like Satya Nadella and Engineering partners to bet big on this strategy. Based on executive feedback, the work that my team and I conceptualized and made for the vision video aired at the 2016 Microsoft Build Conference. What is "Conversation as a Platform?" about? If search is at the center at the web, then conversation is at the center of mobile. People are engaged in messaging apps, four times more than in other apps. It's where planning and socializing takes place. It's a natural interface that scales from 1:1 to 1 to many user interactions. I studied messaging apps where "Conversation as a Platform" had strong adoption among users in day-to-day use. 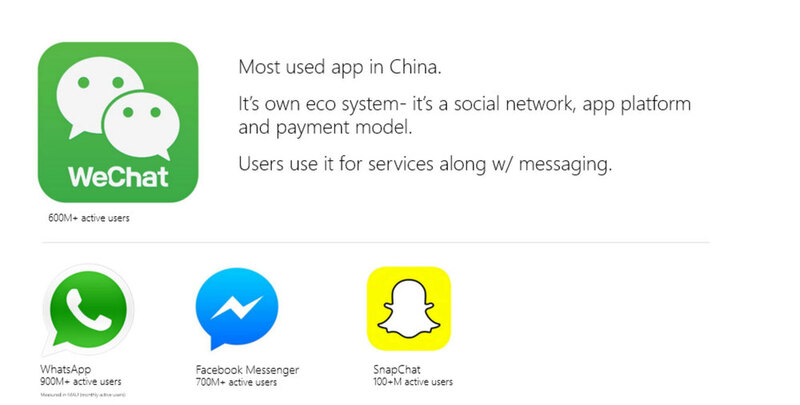 From market research I conducted, messaging platforms and conversational assistants are already a reality in China where they exist in WeChat to buy and socialize and Microsoft's Xiaoice bot has millions of followers. In the US, it's what Facebook and Google have been testing. It's what we've incubated for several months, conceptualizing how Bing could integrate into chat platforms with apps like WeChat to Skype to Twitter and more. I co-created the concept video with colleagues, producer Kathy Minnis and designer, Paul Thackray. 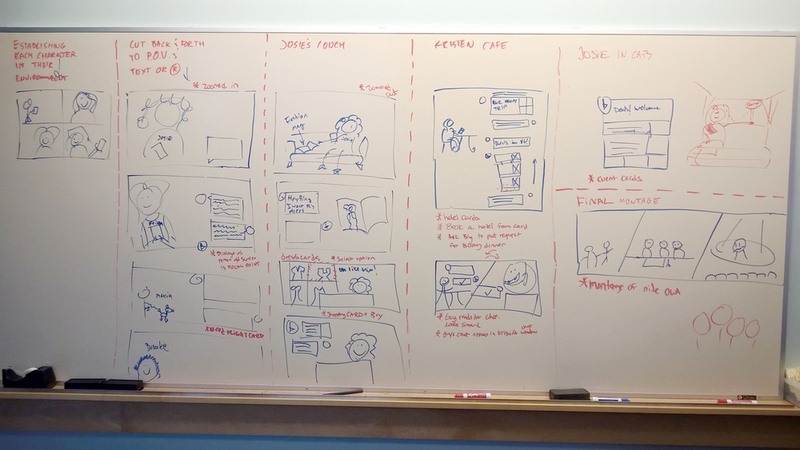 As UX designer, I conducted user research, market research, created storyboards, supervised video's art direction and helped out as an on-set background extra. How could we integrate conversational agents like Cortana + Bing into a dynamic group chat where users are texting about making real-life plans? Armed with a script that my partner, Kathy, wrote about 4 friends planning a reunion vacation in Las Vegas, I got to sketching scenes with my fellow partner, Paul. We listed all tasks involved in vacation planning: coordinating schedules with companions, looking up and comparing flight and hotel options, planning an event itinerary, etc. and carved out vignettes where these transactions occurred in a minimal, breezy fashion for our users since our agent, Cortana + Bing would be researching options while our users could focus more on making fun travel decisions with friends. We created user personas for each character, establishing their look, environment, and personality type with a defined color. 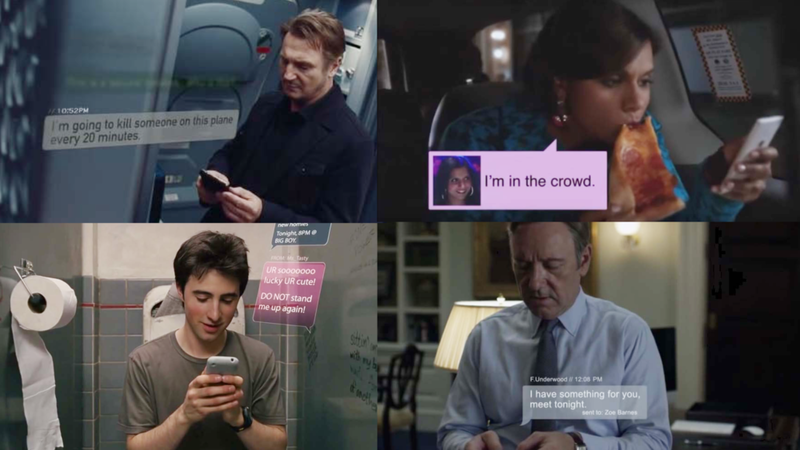 We studied how movies and TV shows depicted texting UI to determine our chats' aesthetics, room for placement in scene, and how they animated in. At same time, we were conscious to make sure our texting UI were generalized so viewers would focus on the message versus an app/OS aesthetic. After finalizing details, we worked with a production company to plan and execute the shoot. Vision video has featured at Microsoft Build Conference in San Francisco and the Microsoft Envision Conference in New Orleans. In the following week after Build, more than 5,000 developers have signed up for bot building hackathons after seeing the vision of "Conversation as a Platform" presented.